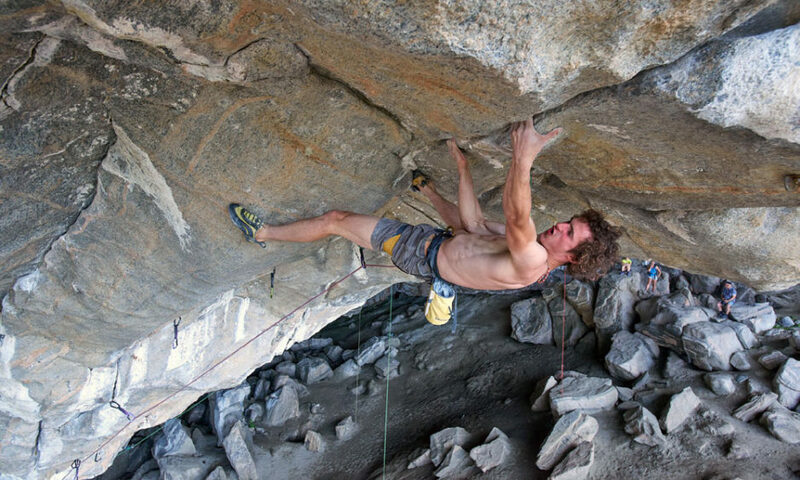 Adam Ondra on what it takes to send “Project Hard,” the first 9c (5.15d) in the world. 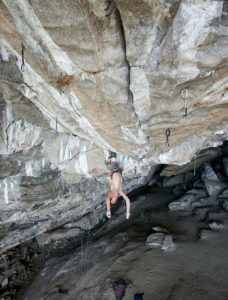 Adam Ondra on Silence (9c/5.15d), previously known as “Project Hard,” in the Hanshallaren Cave of Flatanger, Norway. Photo: Pavel Blažek. On September 3, 2017, Adam Ondra came down from Flatanger’s Hanshallaren Cave and jumped straight into the Norwegian Sea with his clothes on. 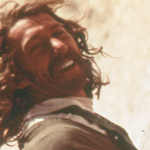 The 45-meter route, which for years he had called “Project Hard,” was a project no longer. “I call it Silence,” Ondra writes Rock and Ice. 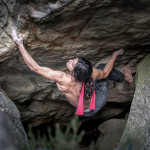 “When I was climbing through the crux of this route, I felt like if I was in my own world, with my mind in complete silence, my body relaxed and flowing up the moves in complete harmony despite the extreme difficulty of the moves. 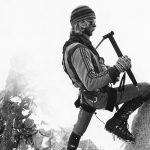 With his ascent, the 24-year-old Czech climber established the world’s hardest sport climb and first 9c (5.15d). After jumping into the sea, Ondra attempted to buy beer to celebrate the climb, although unsuccessfully, since it’s illegal to sell alcohol on a Sunday in Norway. Dancing, he says, completed his celebration, along with finding the next project. 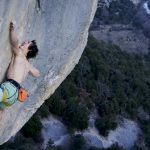 Rock and Ice caught up with Ondra to learn what it took to send Project Hard. It feels amazing, because I had to work so hard for it and it definitely is the most important route so far in my career. At the same time, I am really proud to have managed the mental aspects of the work on the project. The route never really turned into a nightmare, maybe because I was trying for so many weeks without [a] real chance of sending, and then the gap between the moment I knew I could do it and sending was very short. 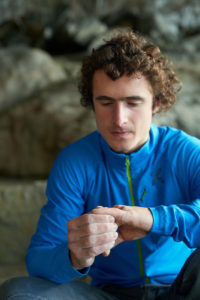 Adam Ondra, pre send. Photo: Pavel Blažek. How did you first discover the line? There are two routes from the ‘90s in the [Hanshallaren] cave itself, but no routes [were established] in the very steep part ‘till 2011. [The beginning to Project Hard] was the first line bolted in the steep part. Laurent Laporte started bolting this line up to the point where crux 1 [8C/V15] starts. It looked too hard and he went down. A couple of months later, Jorg Verhoeven used the same start and then continued bolting right, creating the uber-classic Nordic Flower (8c/5.14b). One year later I was considering finishing [the original] line that was started by Laurent, but bolted a different line, which later became known as Change [9b+/5.15c]. I ended up bolting [Project Hard] in 2013, but I started trying it seriously last year in spring. At that moment, I knew it would be [a] very long-term project and that my chance of succeeding last year was low. But I did not want to give up. I trained harder and smarter, worked with physiotherapist Klaus Isele and hoped that I would take it down this year. My first trip [this year] went all right, and I had high expectations for my second trip, but at the beginning it was not going as I expected. Then I got sick and only on the very last days of the trip [did] I finally feel like I had a real chance of doing it. I came back three weeks later, strong and motivated and the very first day showed me that I had the level to do it. But the question was, how long would it take? Luckily I did it very early on this trip. Since bolting the climb in 2013, how many trips to Flatanger have you made and how many attempts on the climb do you think you’ve made overall? I made seven trips to Flatanger in 2016 and 2017 just for this, [for] an average time of two or three weeks. Attempts are hard to count, but several hundred for sure. But it is important to emphasize that for most of the time, I was pretty much bouldering. My primary goal was to link those 10 moves on crux 1, which is a V15 boulder problem. That alone took four or five trips. I worked it as a boulder problem—I jugged up to there and tried it a lot. Then my goal was to link crux 1 and finish it off to the top. Then I wanted to start five moves lower and finish it off. Then 15 moves lower. And only then would I start trying from the start. So I made it on my second try from the ground. Ondra on the no-hands rest. Last season, he could hold this position “for maybe 15 seconds,” but after more specific training, he held it for about four or five minutes during the send. Photo: Pavel Blažek. Did you feel like you made progress on the project every trip to Flatanger, or did you ever feel like you made a step backwards? Certain trips were frustrating. I could convince my mind that on every single trip I was a little closer, and [that] kept me going, but it was hard. The worst was the second-to-last trip when I got sick—the project felt impossible and I was depressed. But then, maybe thanks to the “rest” during the sickness, and training in the gym in the barn, I was feeling so good on the route all of the sudden. 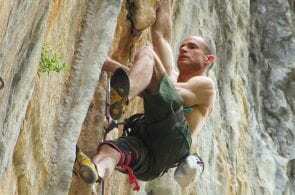 Can you describe the climb and the crux sequences? What are some of the strangest moves? How many knee bars are on the climb? There are six kneebars in total. On the part that is shared with Nordic Flower, which is about 8b/5.13d, there are four kneebars. Right after [Project Hard] goes straight off the Nordic Flower, one does about [a] V7 boulder problem of five moves into another, very bad kneebar. Then it is the V15 boulder problem, 10 moves into the last kneebar, where I could stay maybe 15 seconds without holding onto the wall last season, but four or five minutes during the send. After the rest, you still need to execute V13 into a poor rest, and V10 to the jug, where only V5 guards the way up to the anchor. The strangest moves are on the V15 crux 1, which is very physical, but the most precision-demanding climbing I have ever seen in my life. It is very hard to turn upside down, “stab” my left foot super high into the crack, doing it 100-percent precisely, finish the sequence with this foot jam, doing the last move while doing the most extreme drop-knee I have ever done, which feel like it would tear my knee and back apart. Did you train specifically for Project Hard, and if so, can you tell us a little about your training? I trained specifically. 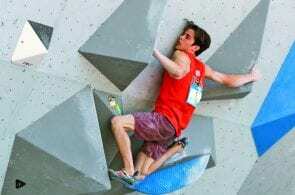 The longer I tried it, the more I realized that training power endurance is not important, that it was all about bouldering and something that I would call fitness—the ability to make more boulder problems in a row, with short rest in between. 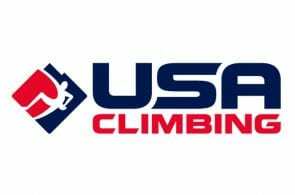 So I would train by bouldering, campusing, interval bouldering and special exercises. I got in contact with Klaus Isele, a physiotherapist who would come there with me and watch me climbing the route. I would explain the moves, what I was feeling I was lacking. Together, we would work on visualization and special exercises that would improve the elements that were necessary for the climb, such as training of calves for the kneebar, or left side of my abs to be able to this upside-down turn and this crazy drop knee. Then stabilization of my hypermobile shoulders. Then I would go to the gym and set boulder problems with similar moves. I would have kneebar-hanging sessions in the gym. We experimented a lot and incorporated it all into the training program, which I consulted with my coach Patxi Usobiaga. How do you stay psyched on a single climb over such a long period of time? It was difficult, there were lot of ups and downs, but at a certain point it was just impossible to give up, as I spent there too much time. Finally, the radical breakthrough on the project came somehow naturally and surprisingly, in the end of second-to-last trip at the beginning of August. That made me overly psyched and confident. Then it was pretty easy to go back home, train and come back and finish it off. I was pretty sure I would do it this trip. You said you attempted the climb several hundred times over the years. Did anything feel different on your send go? Oh, the route either felt different or I definitely like a different climber. Probably both. Was Silence at your absolute limit? 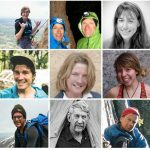 Do you think 9c+ (5.16a) is possible in the near future? It might not have been my actual limit on the send try itself, but the extremely tiny margin I felt is not sufficient for 9c+ [5.16a], by miles. I have an honest opinion that this climb is 9c [5.15d], but I have no idea if it is low level 9c or medium 9c. It is definitely not upper end of 9c. I might climb something that could be on slightly higher level within 9c range relatively soon (a couple of years), but if I ever climb something as hard as 9c+, we are talking about a decade-long project.